Motorists stand to save as much as £10 a month on fuel following a new round of price cuts at the forecourt. Based on a Nissan Qashqai 1.2 DIG-T, a typical owner covering 10,000 miles per year will save around £10 per month compared to the summer. In July the average cost of petrol was 131 pence-per-litre, but following a dramatic fall in the price of crude oil the current average price of unleaded is 116 pence-per-litre. Diesel prices have also fallen, from an average of 136 pence-per-litre in July to 122 pence-per-litre currently, saving a typical Nissan Qashqai 1.5 dCi owner around £7 per month, based on official economy figures and an annual mileage of 10,000. But there could be further good news for motorists, with some experts saying the cost of petrol could fall below £1 per litre. 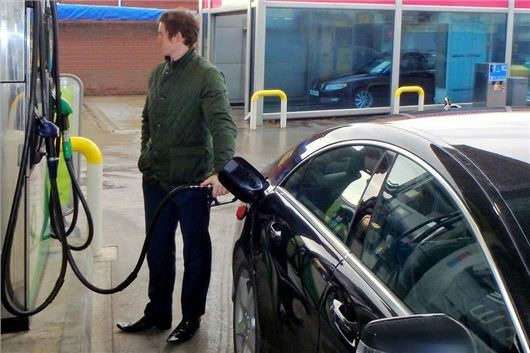 At 99 pence-per-litre, many petrol car owners would save more than £300 a year. "The cost of going to visit family and friends this Christmas will be the cheapest it’s been for nearly five years"
RAC fuel spokesperson Simon Williams said: “The cost of going to visit family and friends this Christmas will be the cheapest it’s been for nearly five years, but the prospect of petrol going below £1 a litre in the new year is incredible, particularly when prices at the beginning of 2014 seemed to be heading ever upwards. “Current forecasts are for average petrol prices to fall to below 110p a litre in the next fortnight and diesel to drop to under 116p. At these average prices across the country the cheapest retailers will almost certainly be selling petrol for around 105p a litre, or even lower" he added. Should the cost of diesel fall in line with the cost of petrol – to 103 pence-per-litre - owners would save £202 per year compared to July prices. Sainsbury’s, Tesco and Asda have announced continual fuel price reductions over the course of December, which look set to continue into the New Year.